Of course I had to do some nail art for the occasion. 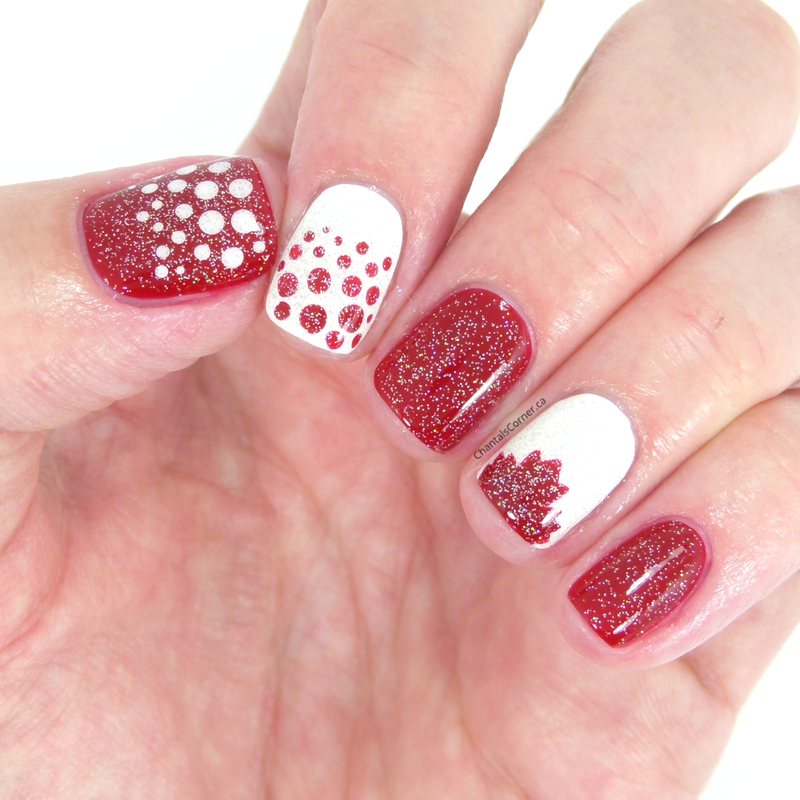 I wasn’t quite sure what I wanted to do so I took to Google and found this nail art by Lindsay from I Can Do That! 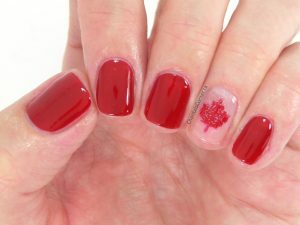 and really liked the half maple leaf. So that’s what I went with and this is how it turned out. 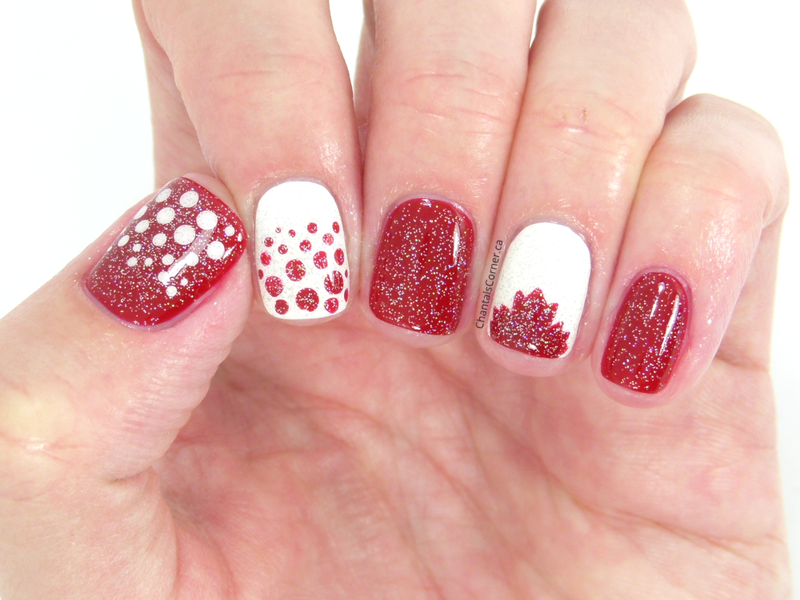 I freehanded the maple leaf with the Pure Color Nail Art brush n° 10, then used n° 9 to add the pointy tips on the leaf. 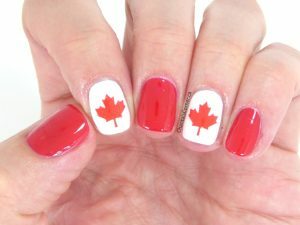 I wasn’t sure how drawing a full maple leaf would turn out so that’s why I really liked this idea, but seeing how my leaf turned out I think I would have been ok with doing a full leaf. I’ll have to remember that for next year! 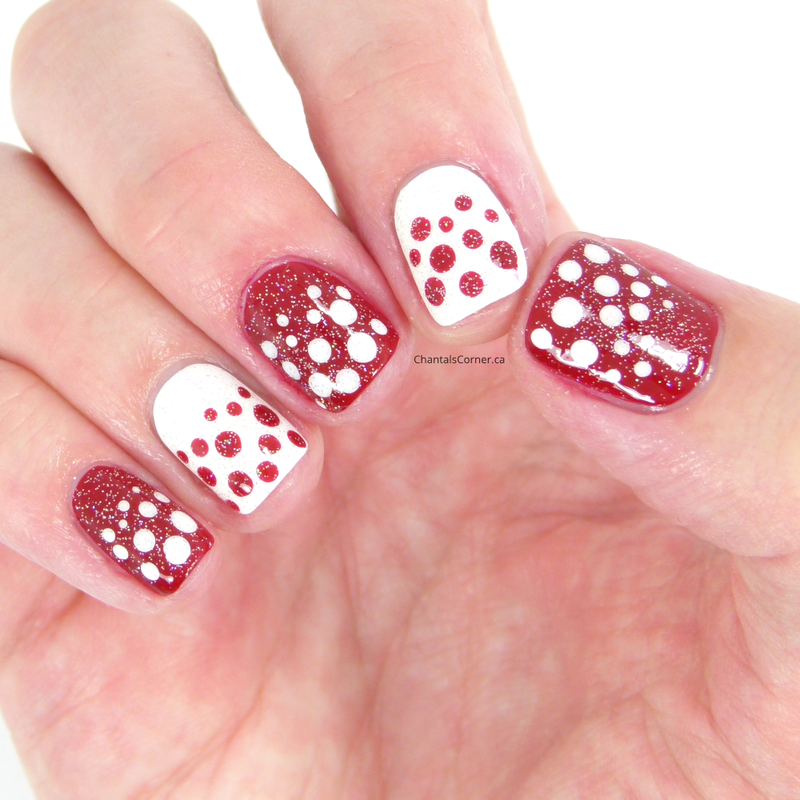 I kept my middle finger and pinky just red to create a flag (along with my ring finger) and I added a gradient dotticure on my index and thumb cause dots are fun and quick/easy to do. I don’t show my right hand often! 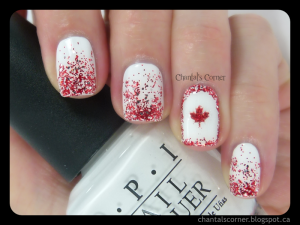 I’m loving how these turned out and find them perfect for Canada Day! 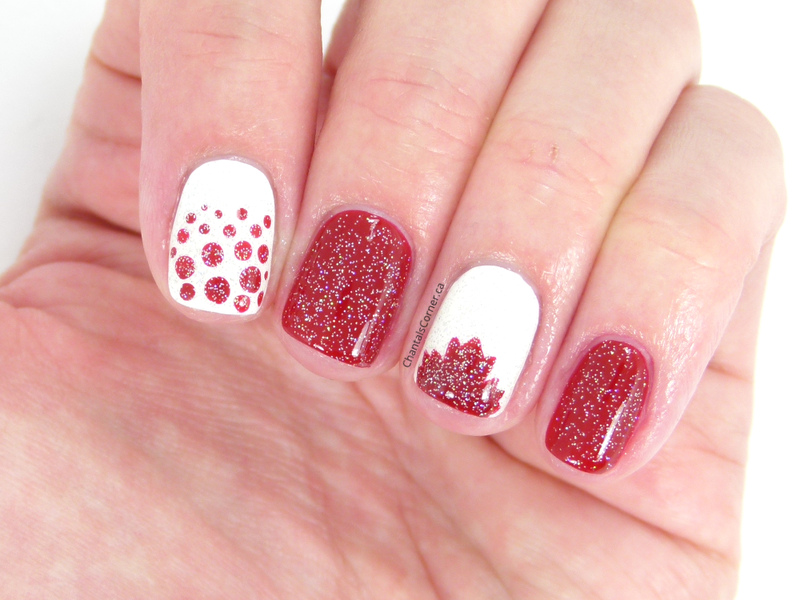 Did you do special nail art or makeup for today? Computer geek by day and super mom by night, Chantal loves to try products of any kind and share her thoughts with the world.